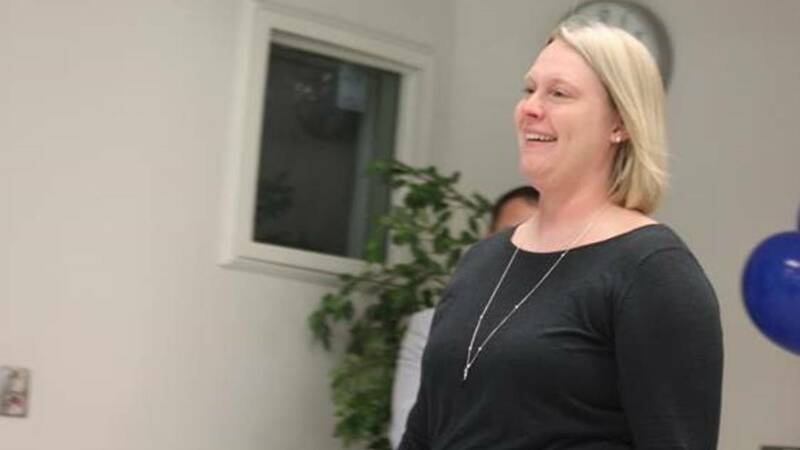 LYNCHBURG - Lynchburg City Schools named Heather McCormick as teacher of the year. She is an English teacher at E.C. Glass High School and serves an advisor for clubs. McCormick also serves as Coordinator for Virginia Center for Inclusive Communities programs.. coordinating a four day retreat for students of various backgrounds to come together to discuss topics around diversity and inclusiveness and how bias affects students within their own school. During her interview, she stressed the importance of teachers having high expectations for students, providing multiple ways for students to demonstrate what they have learned, and knowing about students' lives inside and outside of the classroom. Lynchburg City Schools is pleased to announce this year’s Teacher of the Year, Ms. Heather McCormick. Heather is an English teacher at E.C. Glass High School, where she has spent her entire career as an educator, including her student teaching. Beyond the role of classroom teacher, Heather has also served as the newspaper sponsor, literary magazine advisor, activities director, English Department chair, mentor teacher, club sponsor, Freshman Class sponsor, Senior Class sponsor and as a member of the school’s PBIS team. In addition to these roles, Heather serves as the school’s Coordinator for Virginia Center for Inclusive Communities (VCIC) programs. As the VCIC Coordinator, she coordinates the school’s participation in Project Inclusion, a four day retreat that provides students of various backgrounds the opportunity to come together to discuss topics around diversity and inclusiveness and how bias affects students within their own school. Ms. McCormick is also working on finishing the arduous process of obtaining her National Board Certification. All Teachers of the Year and Support Persons of the Year will be recognized at the annual Staff Appreciation event that will be held on June 7th.